Rest assured that CACS gives you the country’s best mentors. The Center for Asian Culinary Studies takes pride in employing the best practicing chefs in the country eligible to realize the mission and goals of the school. When determining acceptable credentials of its faculty, we consider competence, effectiveness, capability, including undergraduate and graduate degrees, related work experiences in the field, professional licenses and certifications, honors and awards, or other demonstrated competencies and accomplishments that contribute to successful teaching and student learning outcomes. For all cases, the Center for Asian Culinary Studies is responsible for justifying and documenting the qualifications of all its faculty to maintain the highest standards for culinary & pastry arts education. At age 23, he opened, as chef-owner, Cafe Ysabel in San Juan. He is a Chef instructor to the Professional and Recreational courses. Aside from a series of apprenticeships in France and Italy, he has completed various specialized courses in food arts, Culinary Institute of America and the California Culinary Academy. He has undertaken research and development projects with major food manufacturers and flavor laboratories. He is a co-founder of the Alta Cocina Filipina, the movement for contemporary Filipino cuisine. An avid writer, he is a writer to a weekly food page for one of Manila’s major newspapers and authored cookbooks including “Cocina Sulipena” a book on 19th century recipes from Pampanga. Chef Gene is the only Ten Outstanding Young Men awardee in Culinary Arts and at present, author to a book series on Philippine cuisine. He was also a board member of the College of Saint Benilde and at present, conseiller culinaire of the National board of the Chaine des Rotisseurs and also member of the London based International Wine and Food Society. Chef JunJun who is known in school as Chefie is a graduate of the British owned Peregrines’ Cooking School whose teachers were professors at Le Cordon Bleu London. At present, he is consultant to several food establishments, restaurants, resorts, institutional food companies and bakeshops. He is CACS’ Pastry Programs Director and Chef Instructor in our Professional courses as well as our recreational lifestyle classes. A USA Department of Agriculture Council of Chef and Chef Trainer, he used to write for Yummy Magazine as well as Diabetease Magazine. He has taken several masteral cuisine and pastry courses at the Barry Callebaut Chocolate College, American Institute of Baking under the Cochran Fellowship Culinary Program, Institute of Culinary Education, International Culinary Institute ( formerly French Culinary Institute ), and at the Macaron Pastry Training Center. Most recently, he took classes with Chef Antonio Bachour on Advanced Methods in Dessert Buffets and Plated Desserts. He teaches in our campuses in San Juan, Davao, and Pampanga. Eugenio S. Gonzalez Jr., “Gino”, represents the global character and energy of today’s young Filipino Chef. 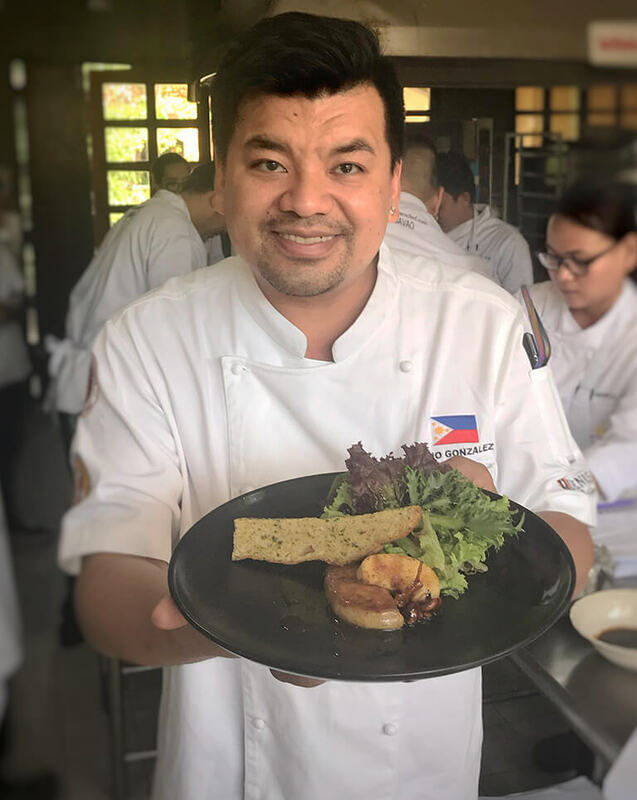 Having graduated top of his class in culinary school, Gino was the first Filipino to take a program at the ADF (Le Centre de Formation d’ Alain Ducasse in Argentuil, France) and took intensive courses at the Culinary Institute of America campuses. He took a chocolate program at the Callebaut Chocolate College and master classes in Thailand and Vietnam. A Senator Cochran scholar of the USDA in its culinary program, he is at present a member of the Council of Chefs. Chef Gino is the owner and Executive Chef of Buenisimo located at BGC, Taguig City. 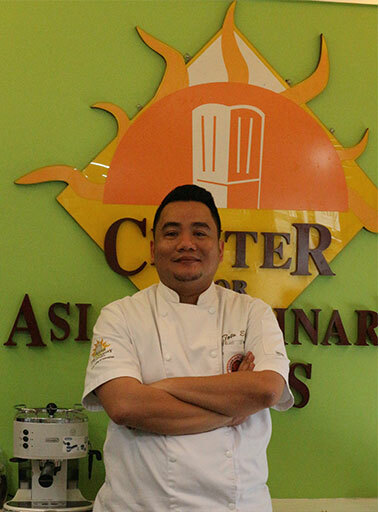 He also Head Instructor and the Center for Asian Culinary Studies and Executive Chef of the multi-awarded Cafe Ysabel. His line of Cafe Ysabel specialty products called Chef Gino’s Gourmet is currently offered at popular hypermarts and food markets. With a love for photography and film, Giannina finished her BA in Communication Arts at the De La Salle University Manila. Then she finished her Professional Culinary Training at CACS. She then became an assistant food stylist under the Supreme Food and Beverage Consultancy for a year and flew off to New York to take the Food Styling Course in CIA under Delores Custer. She also took the Master Food Styling Program under Denise Vivaldo in California. She has also taken Master Classes in Thai Cuisine in Chiang Mai under Sompon Nabnian. Giannina is currently the Operations Manager of CACS and is also working as a freelance food stylist for photography and video productions. 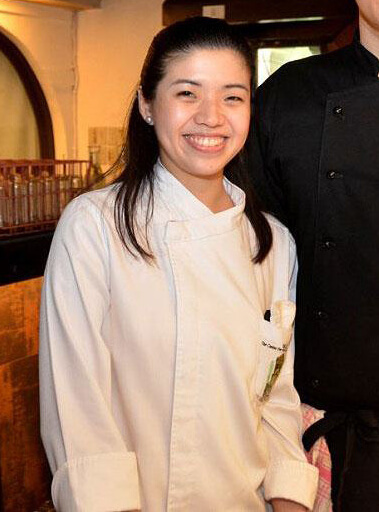 She also manages their satellite stalls called Chef Gino’s Gourmet in SM Hypermart Pasig, Fairview and the Mall of Asia. She, along with her brother, Gino, recently opened a restaurant named Buenisimo which has become highly rated before it reached it’s 6th month in operations. Is a CACS Chef Instructor for more than 8 years. Presently an ASEAN MASTER ASSESOR for Food Production, Resource Speaker of the office of Department of Tourism and office of the Industry Manpower Development. Furthermore, she is also a Technical Education Skills Development Authority (TESDA) expert consultant as well as Competency Assessor of TESDA for the following: Cookery NC II, Commercial Cooking NC III, Commercial Cooking NC IV and Bread And Pastry Production NC II. Previously affiliated as Executive Sous Chef at Ascott International and Amanresorts Inc. (Amanpulo Resort and Leisure). Formerly the executive chef at Old Swiss Inn Restaurant. A graduate of the professional program, Chef Toto was the assistant of Chef Gene for a decade. 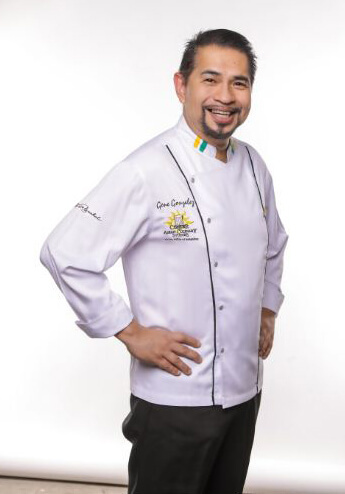 He belonged to the team of Chef Gene Gonzalez when they represented the country in the Philippine Gastronomic Festival at Meritus Mandarin Singapore and was the Master Planner for Logistics in Catering for the Asian Tourism forum in 2006 that catered to 3,000 delegates for one whole week in Davao. 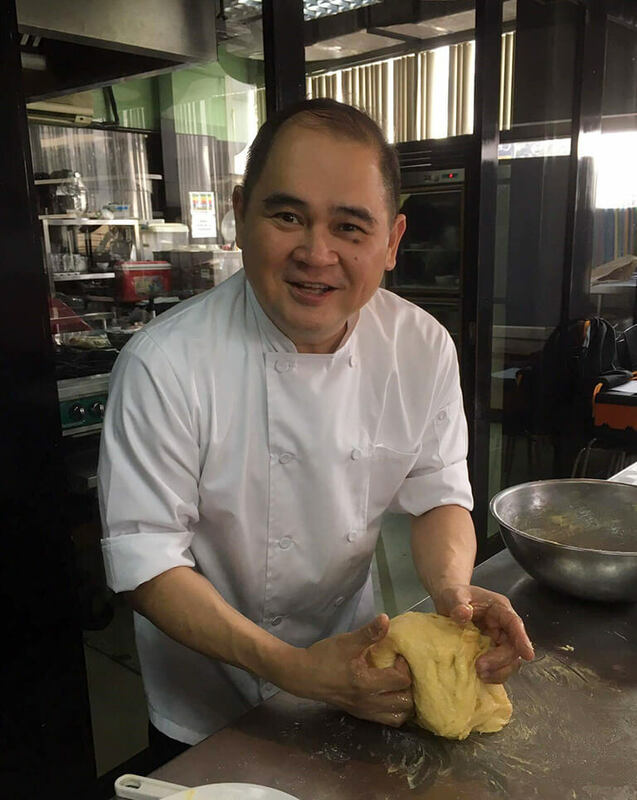 He is now a fly-in professor at the Center for Asian Culinary Studies Davao, a food writer for the Manila Bulletin and currently Sous Chef of Café Ysabel. He also trained with chefs of top schools in Vietnam and Thailand. At present, he is also a faculty member for culinary arts at his alma mater, Miriam College. Is a certified serve safe trainor and holds several training certificates in Butchery, Bread and Asian Cuisine. He presently heads the Asian Program of the Center for Asian Culinary Studies. He has attended courses on Asian cuisine in Hongkong & Vietnam. Is chef and Agriculturist with a wide background in provincial and ethnic ingredients. He is also a specialist in TV and video Production work centered on Food and cooking shows and has extensive experience having been part of several production projects. © 2018 Center for Asian Culinary Studies.